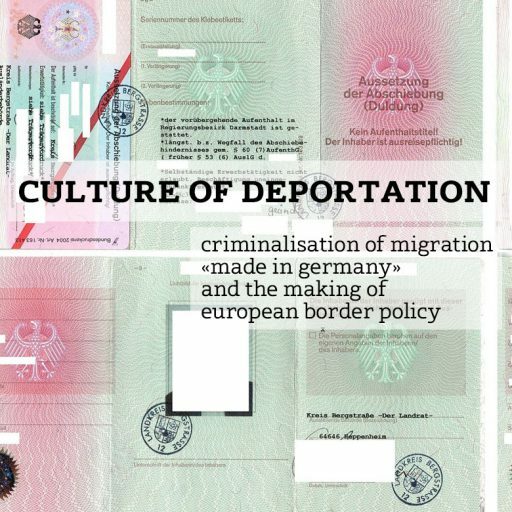 Documentation of two protest actions in 2012 against the deportation collaboration of the Nigerian embassy in Berlin with German authorities. In May 2012 the demonstrators gathered in front of the embassy to protest against the issuing of travel certificates for deportation at the request by German authorities. In October of the same year a group of protesters occupied the embassy. Documentation de deux manifestations en 2012 contre la collaboration de l’ambassade du Nigéria avec les autorités allemandes pour la déportation.